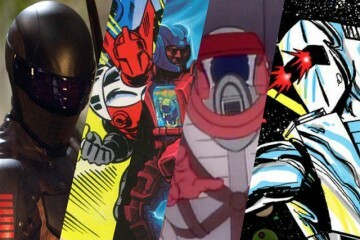 In my first list from more than two years ago, I went through what I considered to be the most useless and downright ridiculous superhuman powers that Marvel Comics has produced for its mutant characters. Recently, I came across one power that was so gimmicky, so laughable, and so dumb that it compelled me to consider what else falls into that category. Well, here you have it. This is the all-new, all different sequel. And my number one choice for dumbest mutant power? 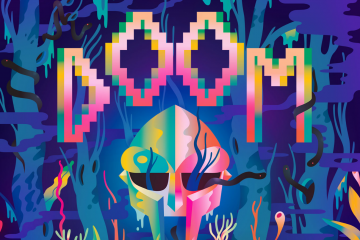 That’s the one that inspired me and, incidentally, it’s who rapper Master P got the idea for the title of his sixth album from. Powers: The Black Womb’s mutant power includes both advanced mutagenic levels and a stunted aging process. While this gives her an extended life span (near-immortality), her body still undergoes the normal progression of vitality, rendering her susceptible to the effects of aging. WTF? : Amanda Mueller is the mutant matriarch of the Summers clan, the great-great-grandmother of the X-Men known as Cyclops, Havok, and Vulcan. She’s been alive since the late 1800’s and was known in the newspapers as the “Black Womb Killer”, due to her many miscarriages. In actuality, she forged a partnership with her OB/GYN Dr. Nathan Milbury (secretly Mr. Sinister in disguise) and was giving her fetuses to him to study their mutant genes. But, why’s her power so stupid? Because she’ll live forever, but she still physically ages. By the 1950’s, she had black, dried-out, wrinkled skin and she was damn-near immobile. Immortality with no real benefits. That’s not a power, that’s a mutation. Powers: Gorgeous George’s mutation is that he has a body made entirely out of a viscous material resembling oil or tar. He maintains a humanoid shape out of habit, but can reform himself into any shape he chooses at will. His fingers or arms can stretch more than five times their normal length, he can wrap his body around an opponent to restrain or suffocate them, expand himself to cover over a large area, and withstand a tremendous amount of harm since most physical impacts are just absorbed into his oozing mass. Even if something does manage to damage him, he has been broken into more than a dozen pieces and then simply fused himself back together afterwards. Powers: The Gin Genie has the mutant ability to generate vibratory waves from her hands, allowing her to shake, shatter, or crumble targets she focuses on, and direct her power at the ground beneath her feet to cause earthquakes or seismic upheavals. However, power was directly proportionate to her alcohol intake. Being severely intoxicated increased her power levels. WTF? : Given that she was part of the media-skewering incarnation of X-Force, her abusive character and power was most likely part of the book’s satire. But still, she has to drink to use her powers. She can’t go out into the field unless she’s pre-gamed first. Booze fuels her power. Yeah. This girl gives new meaning to the term “alcohol shakes”. Powers: Slipstream possesses the mutant ability to generate a “warp-wave”, a quantum wormhole of trans-spatial energy that swallows up him and any passengers to transport them over vast distances. It works by using quantum super-strings to connect with any two locations on earth. 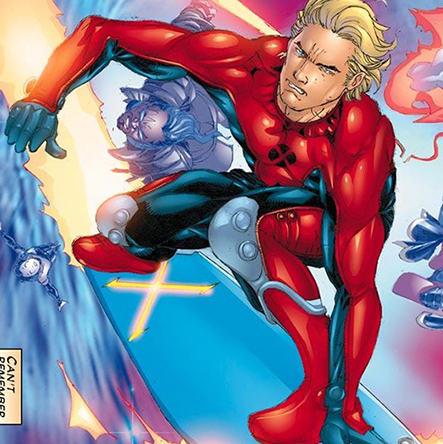 Using a shortened metal surfboard, Slipstream navigates the wave to his intended destination, but is up to him maintain and control the wave. 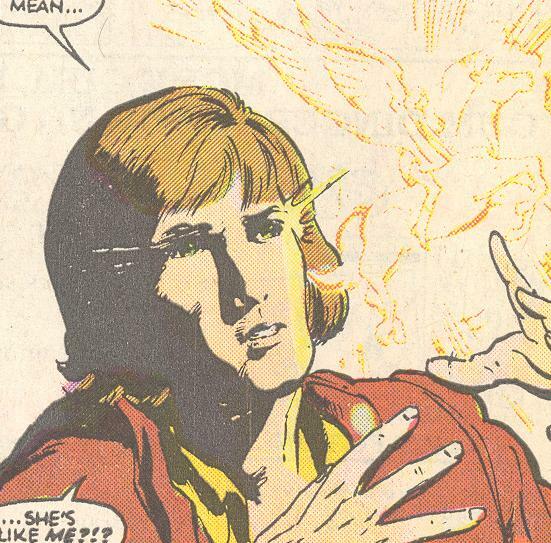 Slipstream is also sensitive to displacement energy signatures, which enables him to psionically track other teleportation effects back to their origin from residual energies. WTF? 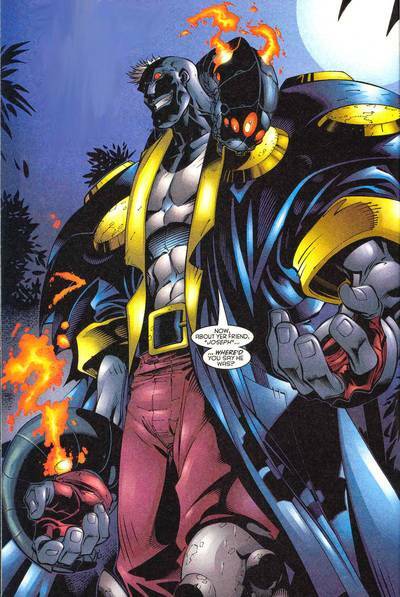 : He’s one of Chris Claremont’s creations following his return to the X-titles in the early 2000’s. 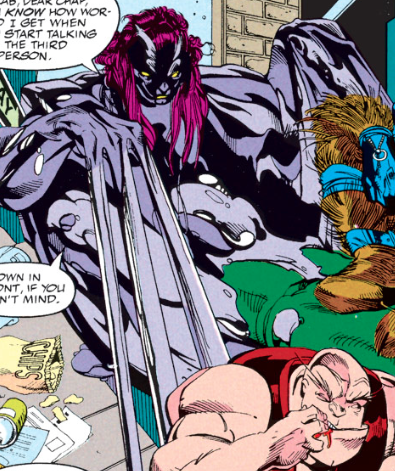 This guy wanted to be a mutant and an X-Man so badly, and got a power and code-name to align with his surfer-dude motif. He’s a surfer who teleports through wormholes. He’s an Aussie combination of Point Break and Interstellar. 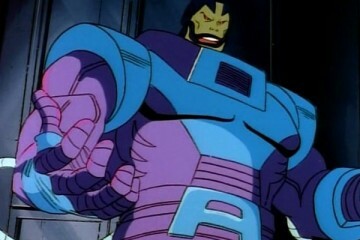 His power is too gimmicky, not just for a mutant but for a member of the X-Men. He didn’t last long and has been in comic book limbo for over a decade now. Powers: Jetstream was born with the mutant ability to bodily generate thermo-chemical energy and release it through his skin. He could release the energy downward as a propulsive effect that enabled him to fly at subsonic speeds while maintaining a high degree of maneuverability. He was not immune to the harmful effects of his powers like most mutants and accidentally set himself on fire as he flew. He underwent extensive cybernetic surgery, including virtually replacing his entire lower body with bionic components. He then focused his flight power through a retractable bionic rocket pack and had an array of navigational components and software in his brain that increased his maneuverability in the air. This enabled him to negotiate building hallways at top speed, dodge projectiles, weave through elaborate obstacle courses, etc. WTF? : Talk about getting burned and then getting rebuilt as a cyborg. 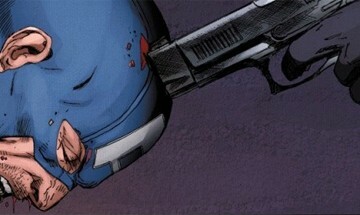 He was created to serve as a counterpart to the future X-Man known as Cannonball. They both had the same power, only Cannonball’s a corn-pone farmboy whose power came with WAY more benefits. Jetstream’s a Moor whose power immolated him every time he flew. Pardon the stereotype, but this character almost foreshadowed 9/11. Powers: Maggott’s mutant ability was actually his mutated digestive system, which exists as two semi-sentient slug-like creatures. The slugs are the size of small dogs and appear techno-organic. 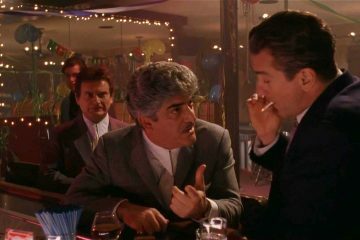 Maggott named the slugs “Eany” and “Meany”. Both slugs use powerful enzymes to chew and digest any solid object in their path. This process transmits food energy back to Maggott, increasing his strength and stature while turning his skin blue. Maggott is symbiotically linked to both slugs. They respond to both his verbal and mental commands. Maggott cannot eat like a regular person, the slugs have to eat for him. Eventually the slugs must re-enter his body through his abdomen and release their storage internally in order to feed his body properly. It is not known how the gaping hole that the slugs create when they leave or enter Maggott’s body closes. WTF? : This character went for a year with people wondering what his power was, if he even had one at all. He’s got a sentient external digestive system that can digest anything. He’s also a Black South African who grew up under Apartheid, his family’s lack of money and food is reflected in his power. His power would be cool, except that it prevents him from actually eating anything ever. He can’t have a steak, salad, liquor, candy, nothing! That would make me crazy, it’s like Alan Rickman’s angel character from Dogma (1999) who can’t imbibe alcohol as per God’s command. He can taste it, but then has to spit before swallowing (I know how that sounds, grow up lol). 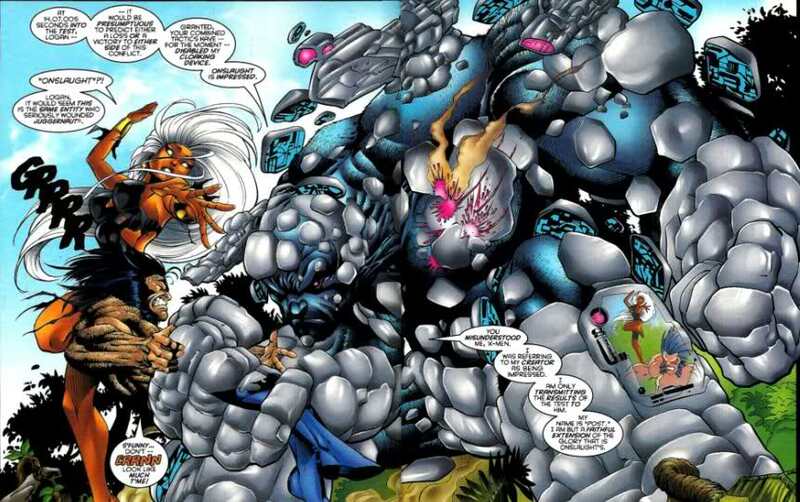 Powers: Post’s mutant genes grant him blue skin and an increased musculature that gave him augmented strength, agility, endurance, reaction time, and durability. He also possesses a highly analytical acumen allowing him to mentally calculate vastly large mathematical probabilities, outpacing most super computers. 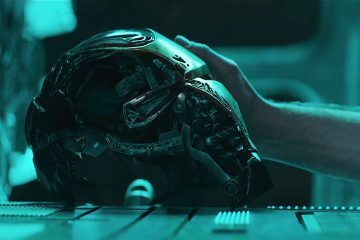 He could use this power to compute vectors, target trajectories, override computer locks and programs, etc. 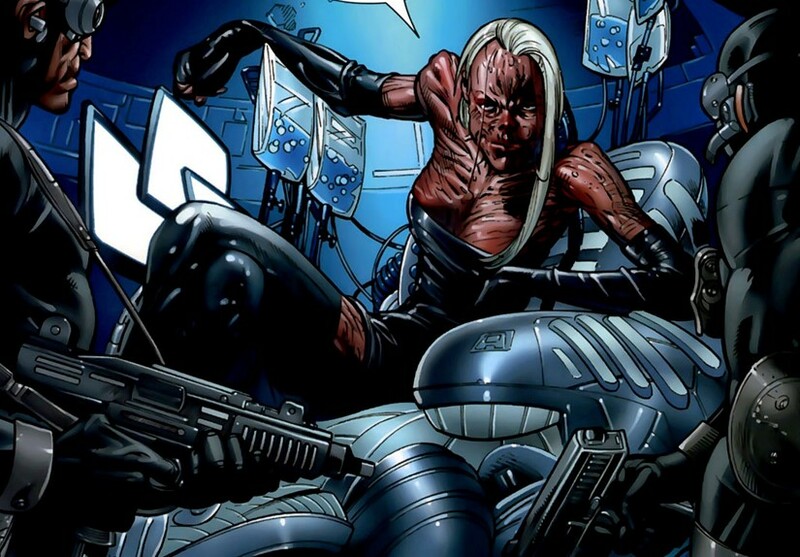 A blood transfusion from Cable gave Post a techno-organic viral infection, which interacts with his armored power pods that can manifest a teleportation unit, cloaking shield, plasma cannons, and scanning devices that interact with his mathematical ability to quantify, identify and record mutant signatures, allowing him to adapt his power pods into combat modes suitable for that mutant. WTF? : He’s actually an insult to scientists and mathematicians everywhere. A mercenary who was born good at math. He didn’t even have to go to school either. His power is useful, don’t get me wrong. It’s just that it’s so normal, that it shouldn’t even be considered a superhuman power. 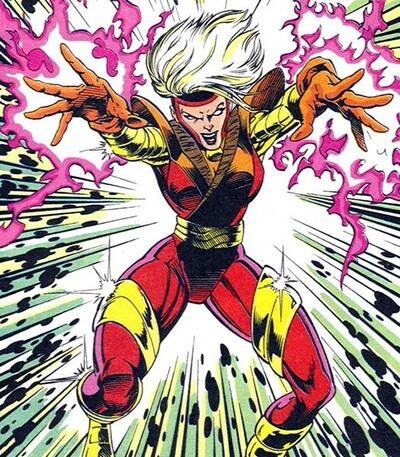 Powers: Siena Blaze’s mutant power is the ability to manipulate vast amounts of electromagnetic energy. She does not, however, generate the energy within herself nor does she use her power in conjunction with the Earth’s electromagnetic field. Siena Blaze distorts the Earth’s existing electromagnetic forces, gathering and directing them by the force of will. She can use her power to create massively destructive energy discharges, levitate by riding on magnetic ley lines, sense electromagnetic phenomena in her vicinity, and instantaneous energy-based transportation similar to teleportation. The side-effects of her powers are severe. Each time she uses her abilities, Siena runs the risk of destroying the planet. She creates tears in the Earth’s electromagnetic field that scramble energy wavelengths at a 100 mile radius of her, causing ecological upsets that create environmental hazards on a massive scale. Even her teleportation signature creates a E.M. disruption as an explosion decompression: Her teleportation effect which transports her across the planet’s surface creates a vacuum implosion of energy in her wake. WTF? : Siena was conceived as one of those mutants who are so powerful, that their abilities can destroy the Earth. Luckily, nothing ever really happened besides bad weather and explosions whenever she teleports. 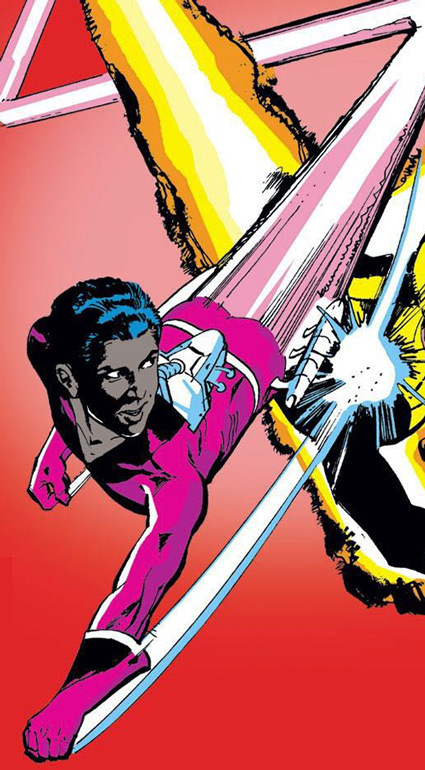 She gets props for taking on Cyclops, Storm, and Xavier in her first fight against the X-Men, but her power’s most lethal destructive effect was ill-conceived from jump-street. Whatever damage she causes to the atmosphere can be instantly repaired by anyone with molecular-matter manipulative powers. Powers: Larry Bodine was a mutant with a light-sculpting power. He could gather ambient photons from his environment and shape them into a visible display. Similar to artificially created 3-D holograms, Larry caused light to form into three dimensional representations of things he could visualize. He could sculpt and shape these projections over time to modify and improve upon his initial attempts. These constructs were not strictly solid, as they could not support weight and would disperse over time or if something made contact with them. He may have been capable of creating multiple colors, but his creations only appeared yellow when visible. WTF? : Poor Larry appeared for only one issue in a one-shot about mutant teen suicide. While the story was good, his power sucked. He could create solid light sculptures that disappeared when touched. I’m sorry, but I see no practical use in that beyond a carnival show. Powers: Eye-Scream possesses the mutant power to transmute his bodily molecules into any flavor of frozen aerated confection he can imagine. However, he required an external mechanism to loosen his molecules. His costume contains an “unstable molecule chest refrigeration unit” that enables him to melt after he transforms via his power. Presumably in his melted state, he may have possessed a level of resistance to injury and limited manipulation of his shape. WTF? : Yes, this is the one. Yes, his power is to turn himself into any flavor of ice cream. He makes some of his fellow rejects here look like full-fledged X-Men. His power has no use in combat (unless he’s fighting someone like the Blob, in which case, Blob could eat him and explode the Blob from the inside-out). and is pretty laughable. If I were the owner of Baskin Robbins, I’d chain this guy in the basement and have him produce more than 31 flavors. Previous ArticleTHE PUNISHER TV SERIES IS COMING TO NETFLIX!!!! Next Article'GREEN ROOM': WHAT'S MORE PUNK ROCK THAN A VICIOUS FIGHT FOR SURVIVAL?